Who should attend: Anyone who is interested in understanding the basic principles of Ayurveda, who would like to attend the coming up Ayurvedic Head Massage workshop and Shirodhara workshop. The three Doshas and how to find out one's body constitution. Requirements for this workshop: Must attend "Understanding the basic principles of Ayurveda" Workshop (Feb 10th, 2018) or have prior basic knowledge of Ayurveda. Who should attend: Anyone who likes to help family and friends to relax and heal. Great add-on treatment for Estheticians, Massage Therapists or any Holistic Practitioner. 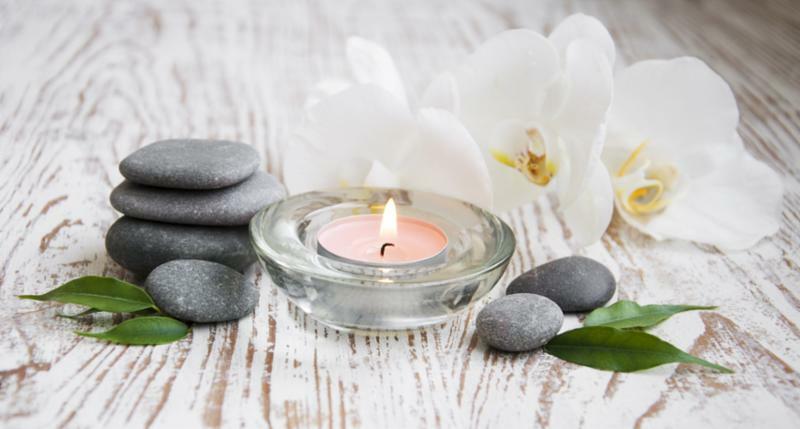 In this one day workshop, you will learn how to safely and effectively massage head, neck, shoulder and face to de-stress and achieve deep relaxation and rejuvenation. Head Massage has been practiced in India as a daily family ritual for thousands of years and is an extremely effective and relaxing therapy. You will also learn about the body types and constitutions in Ayurveda, how to choose appropriate Ayurvedic herbal oils for different body types, and work on the Marma points and three higher Chakras. Certificate of Completion (Ayurvedic Head Massage Workshop) will be awarded at the end of the workshop. Light snacks or lunch will be served. 1. Must attend "Understanding the basic principles of Ayurveda" workshop or have prior basic knowledge of Ayurveda. 2. Must attend Ayurvedic Head Massage Workshop or previously certified in Ayurvedic Head Massage. Who should attend: Great add-on treatment for Estheticians, Massage Therapists or other Certified Holistic Practitioners. Quick wrap up of Basic principles of Ayurveda, 3 doshas in Ayurveda, determining Dosha types, Marma points on the head and face that relate to different organs and systems of the body, Sequence of Ayurvedic Head massage. How to conduct Shirodhara treatment single-handedly using appropriate herb-infused oils and equipment. How to adapt techniques and choose Ayurvedic oils to suit a client's body type or imbalance and/or ailment. Certificate of Completion (Shirodhara Workshop) will be awarded at the end of the workshop. Note: You must practice multiple times with friends and family and be expert before offering Shirodhara treatment to a client. Requirements for this workshop: Basic knowledge of the principles of Ayurveda. Who should attend: Anyone who likes to help family and friends to relax and heal. Great add-on treatment for Massage or Physical Therapists, Nurses, Ayurvedic Counselors, Estheticians or any Holistic Practitioner. Marmas are vital energy points in the body and they affect our mind, body, consciousness. Health or disease flourish on these vital points. In this workshop, you will get theoretical and practical knowledge about Marma therapy through lecture and hands-on training. Certificate of Completion (Marma Therapy) will be awarded at the end of the workshop.